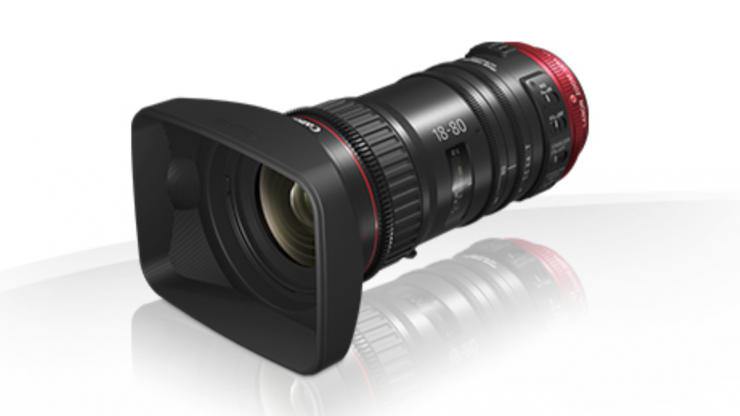 Canon CN-E 18-80mm T4.4 L IS KAS S – a lightweight cine zoom for the rest of us? We’ve been banging on about it for ages at Newsshooter and a lot of people said it couldn’t be done: a reasonably lightweight, quality zoom lens for documentary use on large sensor cameras. 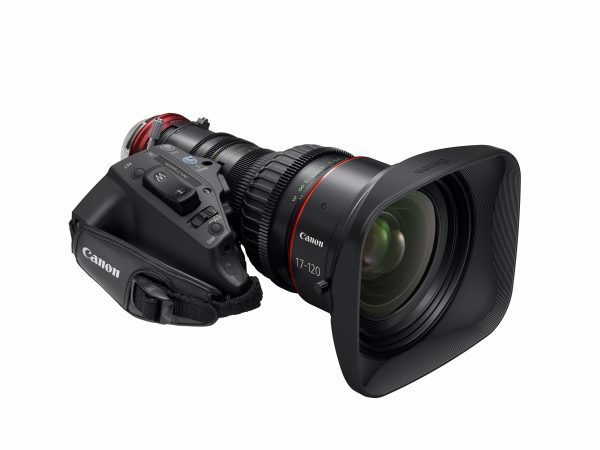 But with the announcement of their 18-80mm cine zoom, it looks like Canon have come up with a convincing take on the kit lens for the large-sensor era. What you’ll get when you put the new lens on a suitable EF-mount S35 sensor camera is the equivalent of a 24-105 full frame lens, a really useful zoom range that will be ideal for anyone who’s ever missed a shot because they’ve been changing a lens while the action was inconveniently carrying on without them. 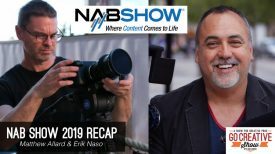 What you won’t get is a wafer thin depth-of-field – with a maximum f/4 equivalent aperture this lens is more concerned with keeping things in focus than creating dreamy bokeh. That’s the trade-off you make for this size (182mm long) and weight (1.2kg) of lens. 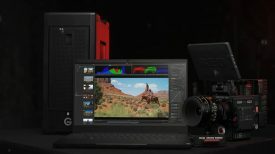 RED and Fujinon do make similar focal range zooms in f/2.8 equivalents but they’re much bigger and much more expensive. And no one’s going to stop you popping a couple of fast primes in your bag if you find you’re still craving that shallow depth-of-field look. The lens takes 77mm filters, so adding ND or other filtration is simple and won’t break the bank, and it also has another trick up its sleeve in the form of the ZSG-C10 zoom grip. This offers the best of both worlds in that it can function as a traditional ENG-style servo unit, or be detached and mounted wherever suits you best on your rig. There’s also built-in image stabilisation and the lens is parfocal – a real step up from Canon EOS stills lenses repurposed for video. In many ways this can be seen as a budget version of Canon’s glorious CN7 – yes you lose out at both ends of the range and in aperture, but the CN7 is 3.5x the price. 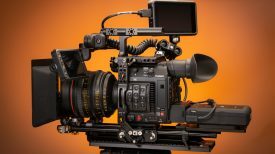 And if the 18-80 can come anywhere near the performance of its big brother (which acquitted itself well in Geoff Boyle’s lens tests) then Canon are surely going to sell a lot of them. 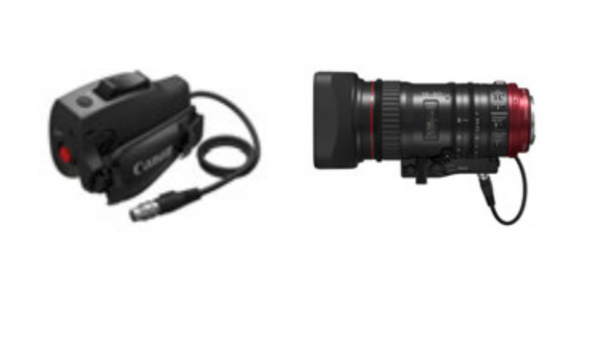 Canon’s 17-120 workhorse. That’s roughly the cost of five 18-80s (or one Ford Mondeo). We haven’t seen a sample yet so can’t comment on optical performance – likewise we haven’t been able to hold one so don’t know how the construction will stand up to the tender mercies of ‘production handling.’ And the lack of a PL-mount version could result in a few headaches in trying to mount it on non-EF cameras while providing power to the grip (EF mounts will power it natively). It also remains to be seen whether you’ll be able to take over manual focus automatically as you can with other EOS lenses. That said, there’s a lot to like about Canon’s 18-80. Yes £4,699.99 is a lot to pay for one lens, (the optional zoom grip is a rather more reasonable £429.99) but if the quality stacks up it could offer decent value to anyone looking for a go-to lens for S35 documentary and single-operator shoots where you don’t have control over the environment. And it’s priced a lot more aggressively than Fujinon’s recently announced 20-120 cabrio.